NEW YORK (WABC) — The Health Department is reporting unusually high levels of mosquitoes with West Nile Virus in New York City. So far this year, through regular sampling of mosquitoes collected from the five boroughs, mosquitoes with the virus have been found in Staten Island, Queens, Brooklyn and the Bronx. No human cases have been detected. The agency issued an alert today to medical providers throughout the city, asking them to be on the look out for possible cases of West Nile virus and to report them. Next week, the Health Department will conduct adult mosquito control spraying in affected residential and non-residential areas of Queens, Staten Island and the Bronx to reduce mosquito populations. Surveillance and control efforts will continue throughout the summer. “Warm standing water is the ideal breeding ground for mosquitoes, so with the three heat waves that we’ve already had this summer, it is vitally important to make sure standing water is reduced to help prevent mosquito breeding,” said Dr. Thomas Farley, New York City Health Commissioner. The best way to reduce risk is to wear repellent outdoors in the evening, when mosquitoes are most active. The Health Department will spray pesticide from trucks in parts of Queens and Staten Island on Tuesday, July 20, 2010, between the hours of 8:30 P.M. and 6:00 A.M the following morning, weather permitting, and the Bronx on Thursday, July 22, 2010 between the hours of 8:30 P.M. and 6:00 A.M. the following morning, weather permitting. In case of bad weather, spraying will be delayed until the night of July 21 in Queen and Staten Island, and the night of July 26 for the Bronx, during the same hours. A detailed spraying schedule is available at http://www.nyc.gov/html/doh/html/wnv/wnvspray.shtml. Some people experience only mild flu-like symptoms after contracting West Nile virus, but the infection can cause meningitis or encephalitis, which can result in a potentially fatal inflammation of the brain or spinal cord. Report standing water by calling 311 or visiting http://www.nyc.gov/health/wnv.If you think you have symptoms of West Nile virus, see your doctor right away. The most common symptoms are headache, fever and extreme fatigue. For more information about West Nile virus, and how to avoid it, visit the Health Department website at www.nyc.gov/health or call 311. Information on West Nile virus surveillance is available at http://www.nyc.gov/html/doh/html/wnv/wnvrrs.shtml/a>. 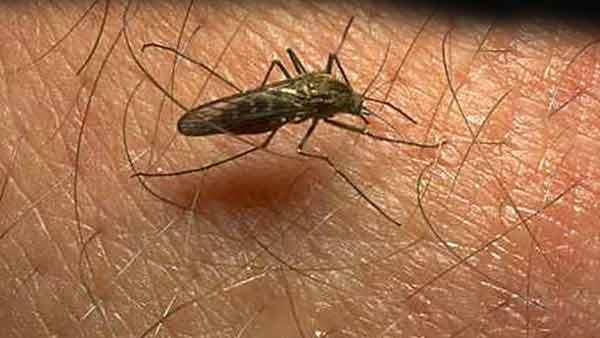 Health department reports high levels of West Nile Virus in New York City | 7online.com.